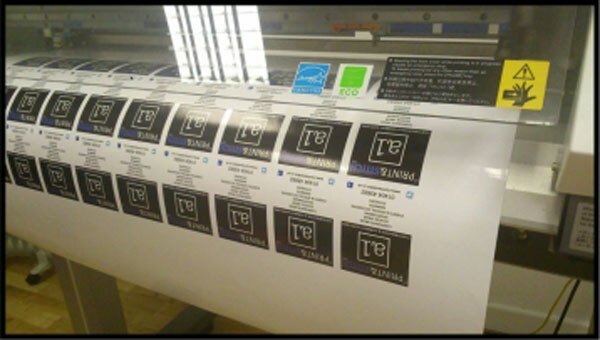 Alongside customising garments we also print promotional goods such as Banners and Stickers. These are great marketing tools for your business or event and provide an excellent addition to your newly customised uniform. Our banners come in a standard width of 70cm but the length can be whatever you like. We also eyelet the banners according to your needs. When ordering a banner you can either send us all the artwork pre-laid out or just email us your ideas and what information you want to present. Our in-house design team can put together the layout and email you a PDF proof for you to check. We supply stickers to a variety of companies for varying uses. For example, customising the side of a kayak, bottle and container labels, stickers to hand out to the general public and catering seals. We have recently begun producing reserved parking signs which have been a great success. We have a standard template but if you wish to add any extra information we can do this at no extra cost. As well as these signs we create signs for A frame boards which can go outside shops and stalls.